I’ve been horribly upset about the shootings in Arizona. To think of a nine-year-old child – ironically born on 9/11/01 – cut down by a lunatic is enough to make anyone cry. Add to that five other people killed, more than a dozen wounded, and of course Rep. Giffords recovering from being shot in the head, and the whole thing is enough to make anyone weep. And all this mayhem was caused by some absolutely demented madman who was kicked out of a math class for his erratic behavior. I’ve been praying for the dead, their families, and the wounded. But long before the full details of the event unfolded, I know I could predict one thing: no matter who dunnit, no matter what the motives or background of the killer…it would be the Patriots of this nation who would take the blame. Gee whiz, looks like I’m right. What a surprise. No matter what kind of a malevolent lunatic Loughner is, no matter what his motivation was, no matter what was on his list of favorite books, no matter what Ms. Giffords’ politics were and what she did… somehow, some way, we Patriots are at fault. It’s our fault that we defend the Second Amendment. It’s our fault that we want our country to return to its constitutional roots. It’s our fault because we are Patriots, not Loyalists (read this to understand the distinction). Rahm Emanuel was SO right: “You don’t ever want a crisis to go to waste; it’s an opportunity to do important things that you would otherwise avoid.” The liberals in this country are working hard to ensure those words stay true. Please, Ms. Giffords, get better. Let the lunatic Loughner be cheated of at least one of his victims. Just found your blog. I agree whole heartedly! 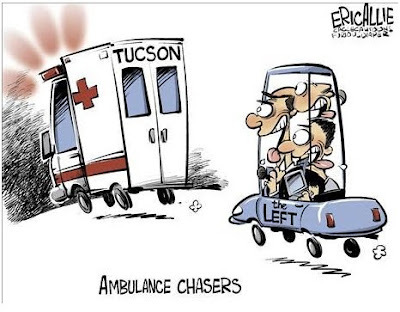 The causes of the Tucson shooting are surely beyond dispute. In the 21st century, well over 100 years from the last days of the "Wild West", the yet prevailing culture of gunworship in the USA enabled an unbalanced, troubled young man to easily acquire a gun, and furthermore, feel encouraged and licensed to use it by the atmosphere of hatred, bigotry and intolerance spread like a crimson plague by the ranting of the extreme Right. The Right uses military imagery and the rhetoric of fear and violence. It does not take reasoned issue with its ideological opponents; it demonizes them. This contributes to the toxic dynamic in the American body politic, and the purveyors of fear, bigotry, division, and hate are responsible for the fruit it bears. There will always be troubled young men, maybe always fear, hate & division. There does not have to be the ready availibility of lethal weapons. Like Naturegirl, I pay close attention to the comments. Despicable acts bring out the loonies and the rational posters. What gets me is that these lefty/progressive media types and the crazies not only use something like this and spin it with lies and hypocrisy. They also want these lies to be true with every fiber of their being. Nothing would make them happier than blaming a patriotic, conservative group blamed for being mostly white as the enablers of a violent crime. I am sure the thought of such a thing has been giving the likes of them a "Leg tingle" for years now. Amen, Sister! It's a shame that common sense has walked right out the door. Here we go again. BTW, excellent blog. Found you a few days ago. Keep up the good work. Patrice, it's not enough to feel sick over this unspeakable trajedy - conservatives are supposed to feel sick over being conservative. Very well said. As the Weekly Standard put it, "Sometimes a Tragedy, Is Just A Tragedy". Naturegirl, I hope you are right. As usual it was the White House staff that got the ball rolling in condemning conservatives and the Tea Party movement. Again as usual it was conjecture without fact. The great 'uniter' obama, should be called the 'great igniter' for baseless slurs. Leftist are using this to attempt to stem the flow of conservatism in our nation. The 'Great igniter' has now fanned the flames and set the tone for a new civil war based on political ideology. If anyone fails to see the divisiveness in these actions I recommend getting their heads out of the sand or other dark smelly places. It does seem the left have short memories. Michelle Malkin wrote an excellent piece listing many examples of vitriolic speech spewed by liberals/progressives. A somewhat chilling example was a picture of a rifle being held to the head of Sarah Palin. I read another post this morning that quoted the daily kos that listed Rep Gabby Giffords as a "Target" and also used the term "Bullseye" describing where liberals should focus on eliminating "Blue Dog" democrats. 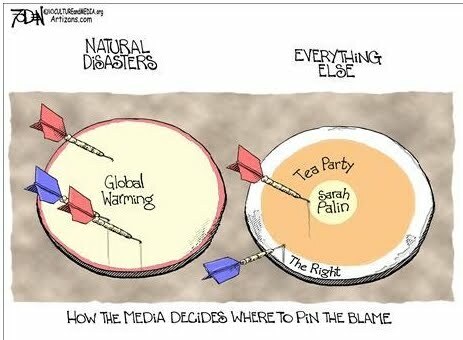 I think Naturegirl's probably spot on. Free thinking Americans can see right through it and your post adroitly points out how predictable (and desperate) the left has become. It is telling that Patrice used words like lunatic, demented, madman, to describe Loughner who hasn't yet been tried. A less vitriolic provisional description would have been "mentally ill" but this would not have supported her thesis half so well. She should reflect that if he is found not guilty by reason of insanity the only 'crime' will be the ease with which he acquired and continued to own a weapon. With all the cries from the left the greatest irony is that the shooter's internet postings are very, very liberal/leftist. Although I agree that most rational and reasoning Americans can see that the progressives are using this tragedy for their own political benefit, that realization may not be enough to stop the left's drive to end free speech for Conservatives. Look, the vast majority of Americans didn't want Obamacare. We got it anyway, and I still wonder if we'll ever get rid of it despite the promises made by the new Congress. We wanted more drilling for our own oil, but that hasn't happened - quite the opposite has happened, especially following the oil leak in the Gulf last summer (another "crisis" used to the left's advantage). We wanted our borders secure and illegals deported. That hasn't happened. See where we are already in this country? Already we have the people's opinion and the government's opinion and the government's opinion is winning. Don't believe for a moment that the progressives will let this go. They are using every dirty trick in their handbook to shut down free speech for Conservatives. The left wanted "The Fairness Doctrine" and when they couldn't get the bill passed in Congress, the president used one of his agencies to get it started. The left wants to shut down the Tea Party movement, it couldn't out-number them so now it is trying to silence the movement through hate-speech and vitriol. There are two facts working here, as I see it. And believe me, I've been a political watchdog since I was 12 years old (now 60), so I think I see pretty clearly. Fact 1 - the government no longer cares what the people want or think. The government is going to have its way. Sadly, I suspect even the House will stop listening by the end of the year...because they don't have to care until 2012, at which time they'll start pandering to us again. Fact 2 - You cannot reason with a progressive. They will never concede a point when you are right. They will never accept defeat. They will use every dirty trick they can think of to discredit you - including using the VITRIOL that they are now so much against. In other words, progressives are HYPOCRITES and they don't care that they are. Winning is all that matters to them. The ends justify the means for them. Beware, they have started posting all kinds of hateful things on the blogs I read regularly. I think this is no coincidence, I think they get their marching orders from Daily Kos, Huffington, MSNBC, etc. Here is a link the "Climate of Hate on the Left"
It is interesting that the progressives try to spin every tragedy into a reason to take away our freedoms. Speech, self defense, what we can eat, what we can use for energy, who provides our healthcare. The seek control of every aspect of our lives. Look at how they've enslaved segments of our population by making them dependent on the nanny state. Thank you Patrice, for your salient comments and heartfelt thoughts concerning this latest tragedy. We too are remembering the departed and praying for those wounded. Moments after the news of this tragedy broke, I found myself wincing the way one does at the bright flash during a thunderstorm; the thundercrash was going to be close and loud. And predictably, the hissing left didn't let us down. Tying a drug-addled, psychologically disturbed anarchist to Sarah Palin was a feat of pure alchemy. My grandfather left Germany before the rise to power of Hitler so his future family would be able to live in the freedom that the USA gave immigrants. I am a first generation child to come from that decision....I am also part Cherokee Indian on my mother's side. I am first and foremost a citizen of Heaven(and long to go home....come Lord Jesus come). "English shooting rampage kills 12, injures 25"
Don Lewis, I think I love you! Yep, the Brits are smug...oops, I meant to say snug... in their gun-free little corner of the world. Well, except for knives. Knives have now become the weapon of choice in the UK. That's why most knives cannot be openly possessed or even owned by the vast majority of the citizens of that country. But whatever the weapon, the fact remains there are some lunatics (in all countries) who will find a way to kill people. Should we ban mothers? Sadly, many mothers murder their own children. Perhaps if we had no mothers in the world, infanticide would be eliminated, eh quedula? Perhaps we should ban hospitals. 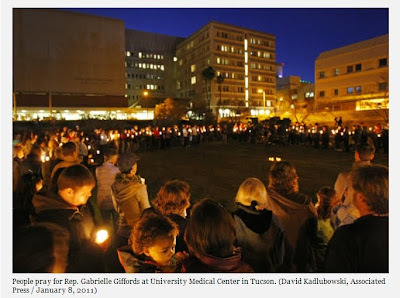 More people die from medical errors than from guns in the USA. Can you please give me directions to your nirvana, the imaginary place when a lawman is but a step away to protect and serve you? Thirty years ago I was accosted by two fine fellows who wanted my sports car a lot more than I did. Make a long story short I was shot and almost died. Unlike your wonderful place where the police are there to serve and protect only feet away I had no such luck. Back then I was a foolish liberal like yourself who believes once guns are outlawed everyone including the murderers and rapists will voluntarily give up their guns. Not anymore! I will protect myself and my family and let the predators target clueless individuals like yourself. I refuse to be a sheeple like you who bleats and eats grass just waiting to be slaughtered. Oh and by the way the people who attacked me were black, but I have never held it against the black populice, Hell I don't even hold obama against them either. Do you know why I am a law abiding conceal carry patriot? A law officer weighs too much! Of course shootings do occur in the UK but as I think I've mentioned before, you are, at least 33 times more likely to be shot to death in the USA than you are in the UK. Some people put it at 40 times. If I was an American parent of young children I would be very worried about that. Had I known you lived in the crime free Uk I would have carried a different tune. Instead of worrying about our children here who will hopefully grow up to be rugged individualists, you need to be afraid of those pack animals you call children, who prey on the defenseless. Britain used to be a lighthouse of democracy and free thinking. Now your government does everything especially thinking for you and tells you when they will or wont do. I especially love the surveillance cams too. They can watch while you are mugged or worse. Nothing but a socialist hole sorry to say though I do like the beer! God bless you, for you sure need it. Quedula, you could be the poster child for the first comment I posted on this topic. You, a progressive, will never concede a point. You will never admit defeat. You will never quit your own vitriol, while you complain about the imagined vitriol from others. You just don't get it. You never will. Is that because you are so much more intelligent than conservative Christian gun owners, or is it because you aren't? I think you know my answer to that question. You love to irritate, don't you? You live for it. From now on, you are persona non grata to me. I hope others follow suit. Adios, no amiga de mia. I read the responses to quedula, but not what quedula said. I already know what quedula says and is going to say, because that progressive heckler gave us all we need to know about him/her in his/her first comment weeks ago. You can ply this person with all sorts of good logic and facts to no avail. Just like teenagers, arrogant, know-it-all liberal progressives have all the answers. There is nothing we can tell them. No amount of good reasoning will get through their stubborn defiance. Their lies... er, I mean facts, are never wrong. They listen only to the LOUD liars, never to the soft-spoken honest ones who tell the truth. Like Hamlet, liberal progressives have no moral existence, no sense of any sacred order. But unlike Hamlet, this condition causes them no despair. They are mollycoddled children, with no conscience and no desire to be fair and reasonable. They want only one thing: To always have their way. WE MUST IGNORE THEM! To do otherwise is to play their game. ....and if we weren't so politically correct and scared to death of what the vocal minority might think, we would all be carrying guns in plain sight and the maniacal sickos like this shooter wouldn't DARE open fire on the public because HE would have been shot to death. People love to defend them by saying they are criminally insane, but I have noticed they are sane enough to keep THEMSELVES from being harmed. All locals here carry. It is a known fact. The last time we had a horrible crime was 3 years ago when a very disturbed young man decided to go home and murder the grandparents and aunt that had raised him after his mother abandoned him. It was a cold-blooded, middle of the day, evil murder that he committed when he knew everybody else in the neighborhood was at work. He waited until these elderly people were home alone and STABBED them to death. When his aunt came home he STABBED her to death too. When the police showed up he threw the knife down and threw his hands in the air. Now he is begging for his life, telling everybody that will listen (mostly the Liberal media) that HE HAS RIGHTS TOO. It is a good thing I am not the judge, because in my book he does have rights--he has the right to the exact same treatment he gave his victims. In keeping with all true cowards this young man chose elderly, defenseless victims that couldn't fight back. The numerous sick in the head people in our society will find a way to do their murdering, even if they have to pick up a rock and bang people on the head to get it done. The only thing reigning them in is the fact that they know people can defend themselves. Just ask a former criminal! Why are common sense blogs plagued by Trolls like quedula? To repeat an oft used phrase; guns don't kill people, people kill people. A spoon did not make fat people fat. quedula should live in an autocratic society without freedoms before he/she makes such empty pronouncements. He/She would rue the day when more of our freedoms and rights are lost. I pray that, IF, quedula were to ever be in a life threatening position that there would be a "concealed" or open carry patriot there to save him/her. Obama provided the group with funds in the 1990s when he worked at an education reform group alongside Ayers. Loughner attended Mountain View High School, which is part of Arizona's Marana Unified School District. What kind of resources and training were provided ? Any chance this is motivation to redirect blame to the Tea Party? Ha. I thought a conspiracy theory would emerge eventually. agree with you completly quedula. I will say I am somewhat close to the goings-on here in Tucson and leave it at that. Someone has suggested that an insanity defense is much less likely because the suspect attempted to reload, a measured act by a functioning mind. I certainly hope so because if anyone ever needed to ride the lightning, it's this deranged lunatic. And no, I have no problem identifying him as such. Those insisting we use "allegedly mentally ill" are guilty of the political correctness that will surely be the undoing of the republic. Changing the words does NOT make it possible to "pick up a turd by the clean end." If this had taken place at a republican meet and greet the unhinged crackpot might not have gotten any further than the first one or two victims before he was brought down in a hail of return fire from the CCW-rich crowd. The attempt by politicians and the media to spin this for their own gain, making stuff up out of whole cloth when convenient, is beyond the pale. Gabrielle is fighting for her life and the funerals are still pending. These despicable folks deserve the overwhelming disdain of everyone on both sides. Too bad shunning and rail tickets out of town are long out of style. When Gabrielle is able to communicate, I doubt she will appreciate people saying and doing things "on her behalf" that she would not agree with. First and foremost, attempts at gun control, which despite the "D" after her name she does not generally support; including the fact that she herself owns and carries a 9mm Glock pistol like the one used by Scary Whack-Job Boy. I think it will become clear over time that Gabrielle was not a random target, but a subject of fixation, and in targeting her, politics couldn't have been farther from the not-quite-cooked custard that passes for this demented maniac's mind. "Psychotic paranoid-schizophrenic sociopath" may well be the official ruling, but "crazy as a sh**house mouse fruitcake-nutbag sure has a nice ring to it. In the 21st century, well over 100 years from the last days of the "Wild West", the yet prevailing culture of gunworship in the USA enabled an unbalanced, troubled young man to easily acquire a gun, and furthermore, feel encouraged and licensed to use it by the atmosphere of hatred, bigotry and intolerance spread like a crimson plague by the ranting of extremists. Extremists uses military imagery and the rhetoric of fear and violence. They do not take reasoned issue with their ideological opponents; they demonize them. This contributes to the toxic dynamic in the American body politic, and the purveyors of fear, bigotry, division, and hate are at least partly responsible for the fruit it bears. Our nation was born because the country you currently live in was tyrannical and overbearing to people that escaped the overbearing rule of your kings and houses. In order to remain free we provided laws that assured the individual certain rights and liberties and one of them was the right to bear arms. If by chance you were ever invaded or a despot assumed control of jolly ol England I guess you could use pitchforks and stones much like the Swiss did to the Hapsburg's back in the middles ages , but socialism has gotten you English folk to rely so much on government that I doubt you would have the balls to defend yourselves. Maybe you could apply for a butter knife permit. Churchill would choke on his cigar if he was able to see how sorry you socialists are. Please read Patrice's post for 1/12/11 and take some good advice from it. Qudela - a comment here on the issue of defense and lethal force. My son can do serious damage with a pen - and it can happen before you even have a chance to think. Should we do away with those, too? Maybe do away with the walking cane or the garbage can? Frankly, if I'm being shot at, I'll go "True Grit" on the shooter and charge them - if it keeps someone else from being killed, good. Lethal weapons come from the heart - right minded men created the tools necessary to fight the lethal minds. Concealed carry supports right minded men who understand that lethal minds exist and will use ANYTHING at hand to carry out their intention. This isn't about lethal weapons - it's about a ppoorly formed person who has a lethal mind. Isn't it easy to sit in your home behind a computer screen and rationalize everything with lofty phrases and lovely, progressive ideas. Troubled young men--hmmm, what a generic and gentle way to describe cold blooded murderers. Remember the Fort Hood massacre? What do we do when the extremist has access to weapons as a part of their job? The coddling that the Fort Hood murderer received because of political correctness towards Muslims made it very easy for that maniacal coward to set up the situation to his advantage. You will notice he survived, as usual, and is living off the tax payer's dole while a certain portion of our society bleets on and on about his rights. Never mind about the rights of the people he chose to murder in cold blood. His victims were on a military base, unarmed, and he took full and complete advantage of that. Quedula, you're being very foolish. A vehicle can be a *very* lethal weapon. An airplane can be a *very* lethal weapon. A boat can be a *very* lethal weapon. Gasoline can be a *very* lethal weapon. A bulldozer can be a *very* lethal weapon. Hell, antifreeze can be a *very* lethal weapon. You cannot reason with a progressive. You cannot get a progressive to see your point, no matter how hard you try. And no matter how much evidence you provide and regardless of the citations you list, a progressive will not give an inch. It is not in their personality to do so. The typical progressive is smug, elitist, and living in denial. "Reality" is not part of a progressive's vocabulary, neither is "common sense" and "humility." As Michael Savage says, "Liberalism is a mental disorder." I concur with him. We should contemplate why someone who is so unlike the rest of us here would want to spend so much energy denigrating our beliefs and our way of life. What is the goal? I can only guess that this is someone who is terribly unhappy and wants to make us unhappy (misery loves company). Or perhaps she's friendless (little wonder). Whatever the reason for her long and unrelenting antagonism, I feel sorry for her and I pray she seeks help soon. Anonymous Patriot, you hit the nail on the head. Would do her a world of good to slide over to the that lord of the flies website huffington post, there she can be with the rest of the village idiots. Heaven knows we have way too many of them here on this side of the big pond and their actions this past week give me much concern over the survival of this nation. Referring to Quedula as a "troll", when her comments have never been anything but calm and reasonable, makes me think that the anonymous person who wrote this imagines that anyone who disagrees with him or her must be a troll. I was also amused at yet another reference to the UK as "socialist", which would raise a hollow laugh among most of us who didn't vote for the Conservatives in our coalition government. If the National Health Service (which I owe my life to, several times over) is the only evidence you have of the UK being a "socialist" state, you can't know much about socialism. We Brits have been accused of not understanding your America (by "your America", I mean the version portrayed in this blog), but I don't recognise the UK that some you have described either, so we're all mystified. If anyone who reads this is remotely interested in how many of us see America, with increasing alarm, from this side of the Pond, you could read these commentators - http://tinyurl.com/6fgrpcr, http://tinyurl.com/5t4q82m, http://tinyurl.com/6z5fjq7 - but I don't suppose you will. Stick to Fox News, and be lied to. Too funny, Margaret is here to defend her friend. What a surprise...not! So, Margaret, you like Britain just the way it is. Good for you. So why come to this blog and tell Americans how igorant we are? Are there no "ignorant" gun-loving, Conservative Britons to attack? Is your country so perfect you need to come here to get your regular dose of elite smugness off your chest? By the way, "her comments have never been anything but calm and reasonable" is untrue. She has been sarcastic and caustic and totally unwilling to directly address citations proving her accustaions incorrect. Let me translate that for you...she's been intellectually dishonest. Ah, but whenever she needs some backup, Margaret comes riding to the rescue. Apparently you are her only friend. Sad, truly sad. Two elderly women in Britain who seem to have alienated themselves from everyone in their own country, therefore they come here to irritate people whom have never done them any harm whatsoever. You two are a real pair. Ugh, this is one of the side effects of everyone having access to the world wide web. EVERYBODY thinks their way is the best and only right way, so they feel compelled to try and argue everyone over to their views. At least pre-internet you actually had to go to the trouble and expense of climbing on a plane or a ship to get to another country and express your take on the world, now it is all just an anonymous click away. Imagine my shock when she quietly let me know that she LIKED the way things were. She LIKED the fact that she never had to go looking for work, it was always provided by the government. She LIKED the government telling her how and when she would be treated medically. She LIKED living in housing complexes for decades on end and never even learned to drive a car because public transportation had been provided her entire life. She HATED change. they came to America if what they left behind was so wonderful? Of course they answer "the opportunity to make money." That is apparently more important than freedom. And personal responsibility is not even on their 10 ten reasons for coming here. This is certainly not true of all, or perhaps even most, immigrants today, but I can attest to the fact that a huge number of immigrants living in this state embrace socialism. It's appalling, and explains why we are a nation struggling with our national identity today. Since Lyndon Johnson rewrote the immigration laws, this country has suffered an identity crisis. We're so myopic in this country. In a tragic incident, a cold blooded murderer offed 6 people. Meanwhile, on the same day, about one hundred people throughout the United States were killed by the purposeful or negligent misuse of automobiles. No one suggests we ban vehicles. In fact, no one even showed a bit of sadness for the hundred or so people who were killed in automobiles that same day. What we need to pursue instead is how this man learned so little respect for human life. 1) That, in the US, guns and ammunition are probably too easily acquired by unsuitable people. 2) That Loughner may be mentally ill and until a court finds otherwise should be presumed not guilty by reason of insanity. 3) That he was probably encouraged in his actions by the prevailing toxic climate of political discourse in the US. 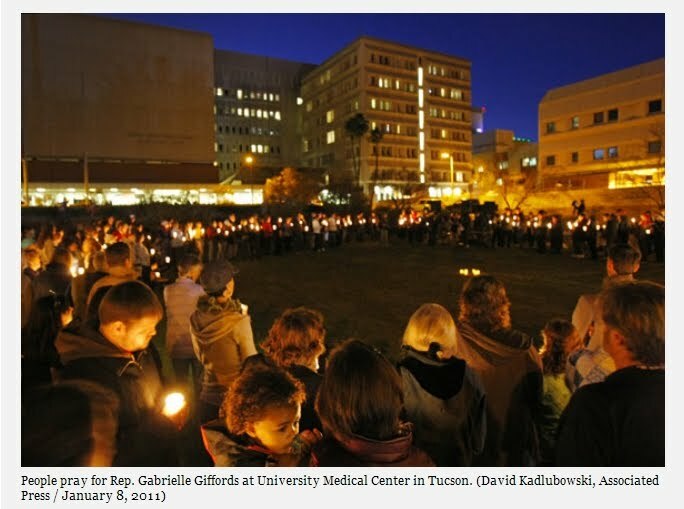 Surely all these factors contributed in some measure to the Tucson tragedy? Why do some people so resent having it pointed out? Is it because they suspect it might be true and thus takes them out of their comfort zones? 1) "Comparatively" your statement is true except in areas like New York, California, Washington DC, Illinois, New Jersey and Massachusetts where private ownership is HEAVILY regulated and/or banned to private citizens. Nation wide at a very minimum one must be 21 years old, wait the prescribed waiting period and pass a background check by both local and federal agencies. How this person, with more than 50 police reports on file including drug related offenses, slipped through the cracks is beyond me. Obviously the sheriff in that county didn't do his job when he OK'd the sale. Areas with the most strict gun laws/bans also have the highest gun crime. Gun laws simply do not work and seem to embolden criminals. When these sort of incidents happen they ALWAYS happen on "soft" (unarmed) targets and typically in "Gun Free" zones. Conversely areas with the highest concentrations of gun ownership violent crime is rare. Criminals by definition do NOT obey laws. It is already illegal for them to kill, harm or steal from people yet they continue to do it regardless of what laws are on the books. I bet despite all the regulations in your country crime still exists and thugs are capable and carry out lethal harm using bombs, vehicles, knives and guns in your country. Our prisons have shown us that even under COMPLETE government control and supervision, complete safety is impossible to achieve. In fact they are among the most dangerous areas in our country there are still problems with weapons and illegal drugs. Luckily we live a country where most of us have the right to self defense. A VAST majority of us don't require laws to keep us from harming each other. Laws are simply tools of our government to exert control and order to our society. They don't prevent crimes they simply outline a course of action to deal with those incapable of harmonious participation in our society. 2) Your understanding of our justice system is incorrect. During the trial the accused is presumed innocent in "the eyes of the law" and it is the duty of the State to prove otherwise. Insanity is something that must be proved by the defendant. Insanity does NOT excuse the crime, it simply dictates the punishment (i.e. capital punishment is off the table, a life in prison is not). The fact is he was caught red handed in the commission of a crime. 3) There is zero evidence supporting your presumption that politics had anything to do with it. He did NOT vote in any recent elections. He did NOT listen to talk radio or watch the news. His diatribes via videos, internet postings and public outbursts indicate he was anti-government and NOT aligned with any party except possibly anarchists. Most of use don't wear a label. We are independent and free thinkers. We don't believe or fit within the confines of democrat or republican dogma or buy their rhetoric. At street level politics is background noise at best despite what is contrived in the media. Thanks Mo. I take your point 2). Nicely done Mo. I would only add that it is perhaps only when viewed through the lens of his attack of January 8th that Loughner's past troubles so clearly portray a very troubled young man. And as troubled as he may have been - again, in retrospect - there was little that suggested a propensity for violence. None of his past transgressions rose to the level of prohibiting his ownership of a firearm under current law. As much as his actions in this tragic event sicken us, and make us wish ... SOMETHING ... had short-circuited his attempt to become armed, changes to those laws must be approached with extreme caution and diligence toward the liberties of NORMAL, LAW-ABIDING people. So many of the labels people are bandying about with regard to how he might have been ruled ineligible for a firearms purchase, are generic labels that are open to wide and vastly differing interpretation. A concept the gun control crowd is trembling with gleeful anticipation over. Actually his past transgressions were enough to prevent him from legally purchasing a firearm. His drug arrests and lying (about not having any drug arrests) on on the firearm purchase form - required on all dealer purchases nationwide - should have been enough. Unfortunately the system in place is not working. For whatever reason the background check during the waiting period came up clean when clearly it shouldn't have with more than 50 separate incidents on police records. It would seem to me that any review of the applications required to purchase a handgun from a sporting goods store and of police records would have obvious to anyone with the ability to read. Just like the financial crisis, there are regulations in place to protect us, it just needs folks willing and capable of enforcing them.